When My Friend Elf on the Shelf Comes to Town | One Up Max | To know him is to love him. Am I the only one who doesn’t understand why Elfie gets away with all the stunts? I’ll be honest. 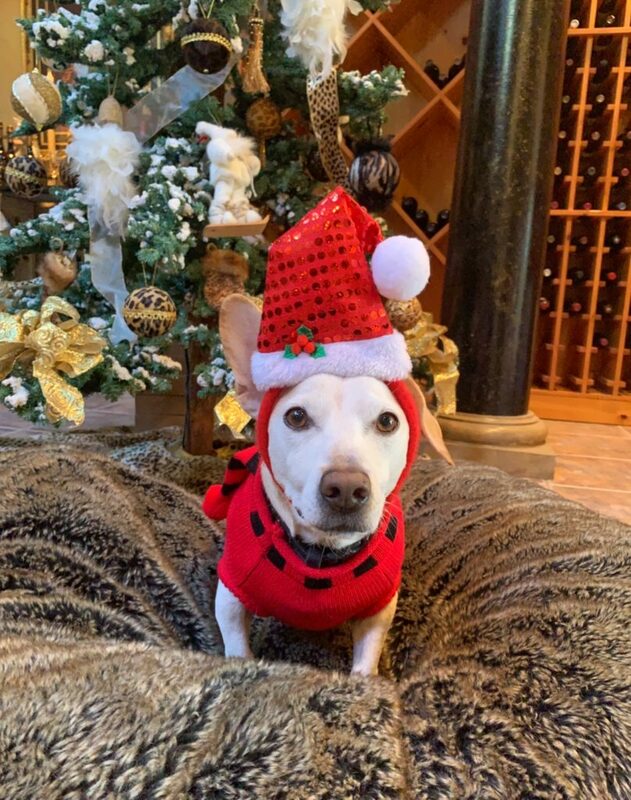 When Elfie first came home, I thought he was an early Christmas present. You know, a chew toy. Little did I know that if I touched him, he would lose his magic! So paws off! We’ve become friends over the years, though, and he always puts in a good word with the big guy for me. What I still can’t understand is why Elfie is allowed to do all the things I am not. I’ll give you some examples. This year when he arrived, we found him zip lining on a candy cane across the living room to the Christmas tree. I like a little adventure in my life, but when I jumped on the back of the couch to reach for the zip line, Mom all but catapulted across the room to stop me. Though she claims it was to save me. The next morning we found him making snow angels with powdered sugar. It was everywhere, but Mom and dad just laughed hysterically! I must have missed the joke… When I jumped in the sugar to play they quickly ushered me out of the way so I wouldn’t make a mess. 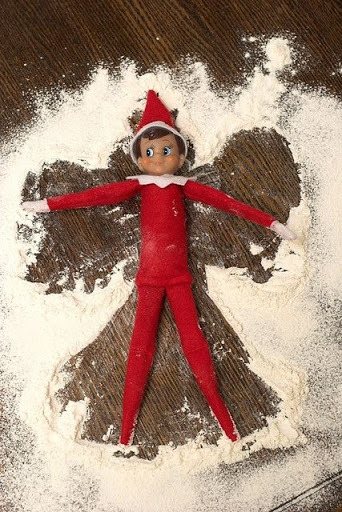 Ummmm, am I the only one to see that Elfie had already spread the powdered sugar all over? Like I said, I must have missed the joke. Last Sunday, I woke up and sauntered past the living room to find Mom for my morning snuggle. She wasn’t there, but when I glanced over, I saw our tree covered in toilet paper; we were teepeed! And who was standing proud as he could on the leftover roll? Elfie himself. I woke up Mom in a panic, knowing how Mom feels about anyone fooling with her Christmas tree. I led the way back to the evidence and stood wagging my tail, feeling like a detective that had solved a case (I just didn’t have my brown coat and pipe). But when she saw the toilet paper messily draped across her beloved grandmother’s decorations, she stifled her laughter, gathered up the paper and dumped it all on dad when he came out of the bathroom. Let me reminisce about the time I pulled the toilet paper all over the house. It was the largest white serpent I had ever created! You should have SEEN it! But I received no accolades like Elfie! So what gives?! I need your advice Max-ka-tears! Do your Elf friends get away with crazy stunts at home? Tell me more! Share on Instagram where your Elf is today and tag me @oneupmax.